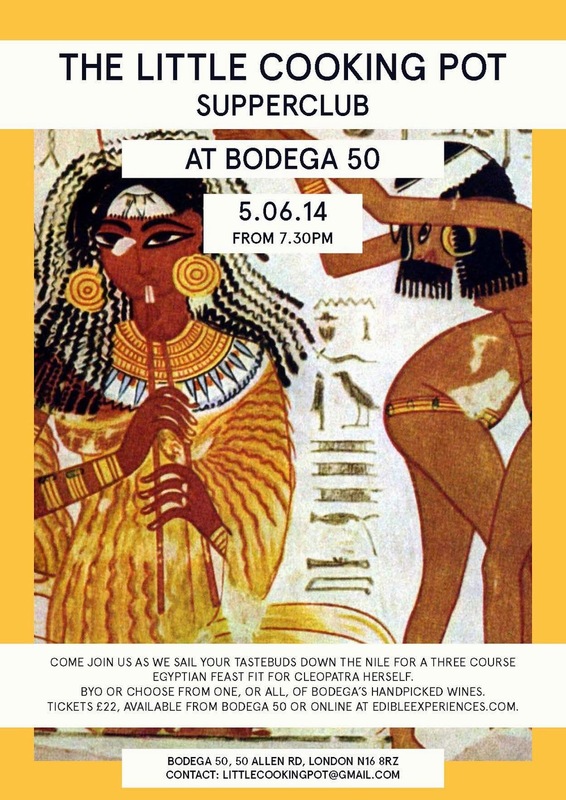 Forget walking like an Egyptian, try eating like an Egyptian instead at The Little Cooking Pot's Egyptian supperclub. Taking place at Bodega 50, the three-course vegan menu will include a spinach and rosewater soup and the national dish, Koshari, a lentil and rice plate topped with a spicy tomato sauce and caramelised onions. Tickets cost £22 and can be bought here, while the event runs from 7.30pm at 50 Allen Road. Kohl eyeliner optional. Field Day rolls back into Victoria Park for another year, and Zoe's Ghana Kitchen wants to make sure you've at least eaten well the night before. 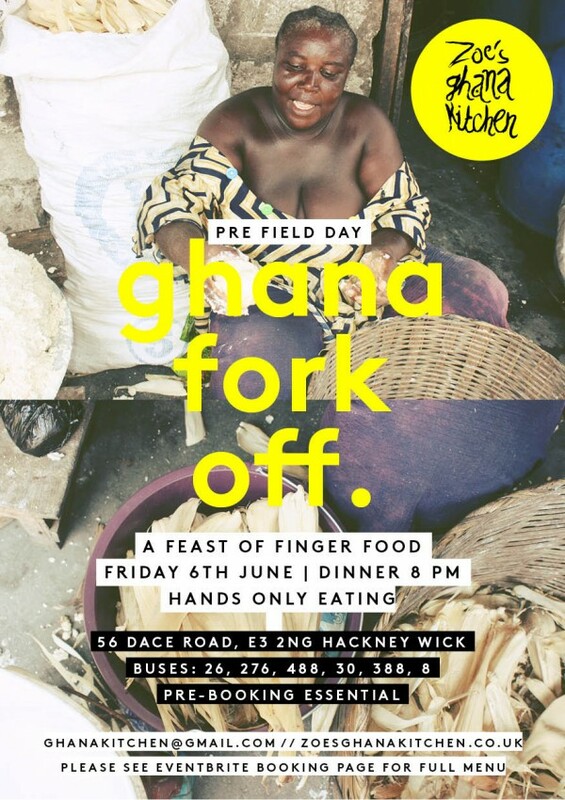 Enter Ghana Fork Off, where they're "chucking out the silver and going fufu crazy" for a sharing finger food feast that includes grilled tilapia, jollof spiced chicken and spicy sardine and kale stew. Time to get handsy. Runs 8-11pm on Dacre Road, E3. Tickets here, at £25. Check out their Twitter and Facebook. 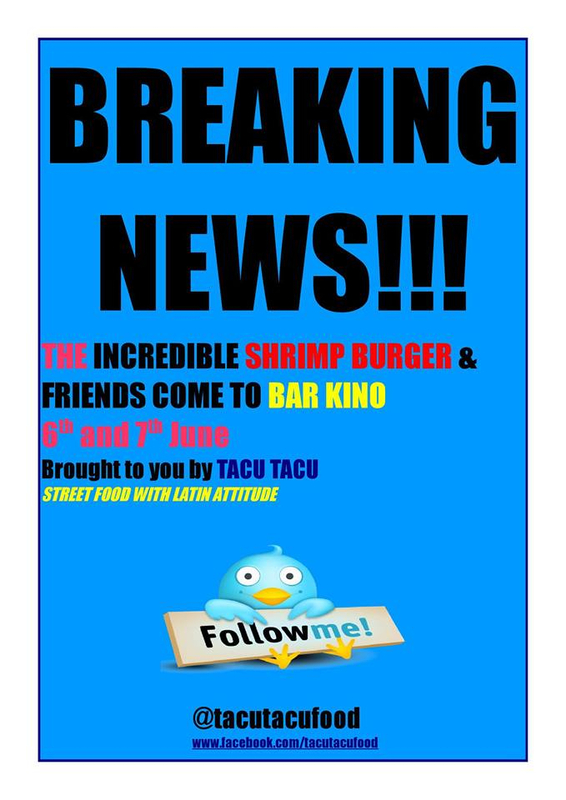 More Field Day-weekend food shenanigans can be found at Bar Kino as Latino-inspired fast food merchants Tacu Tacu are taking over the joint for the weekend. Expect burgers with a twist like the Baja shrimp burger (£8) and La Havana burger (£7) - an aged beef patty blended with chorizo. You're probably going to want to try the mojito cheesecake (£3) for dessert too. Open 6pm-9.30pm, or until the food runs out at 177-179 Morning Lane. Here's their Twitter and Facebook. Calling all wing heads - this one's the holy grail. 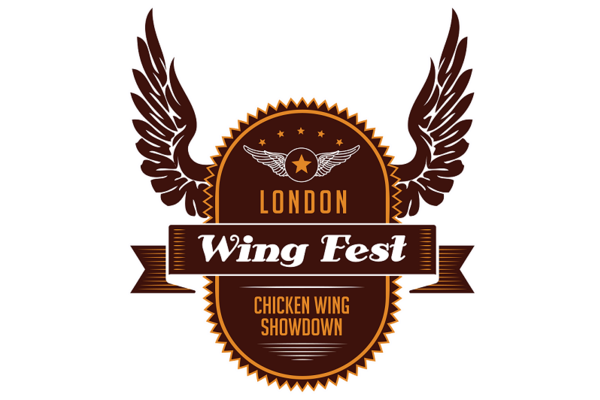 The London Wing Fest 2014 is bringing together the best of the capital's chicken wings and you get to crown the deserving winner. That means you have to munch through 32 wings from eight different competitors, including Red Dog Saloon, Smokey Tails and The House of Wings. Runs from midday at Stamford Works, 3 Gillet Street and costs £35. Tickets from here, and here's their Twitter and Facebook too. PS New pizzeria Yard Sale Pizza are also giving away 50 pizzas a day for six days from June 3-8th to celebrate their launch. That's 300 pizzas! Go to their restaurant on 105 Lower Clapton Road from 5pm each day and show them this post on their Facebook wall to claim your free food, as long as you're one of the first 50 people to show up.